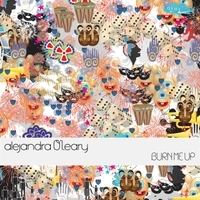 The name tells the tale: Alejandra O'Leary is a melodic mash-up of far-reaching artistic cultures and geographic and musical influences. Combining classic raw rock with a contemporary pop vision, and musical ideas that span the spectrum of pop and rock history, from The Beatles to Elvis Costello, from Liz Phair to The Strokes, O'Leary's music suggests delightfully paired opposites: Hard-charging and luxuriant, defiant and sugar-coated, individual pain and collective ecstasy, physical drive and spiritual transcendence. Rock and roll.